I really wanted to see what all the fuss was about with these new Bibles. I have seen so many things posted about them and how so many people are using them to doodle and write notes. I have to say I LOVE how this Bible is set up. I love the room to write notes (which I do in mine anyway) and how organized it is. The only thing is this Bible is in very small print. I can read it fine but I prefer larger print Bibles, especially for memorization. 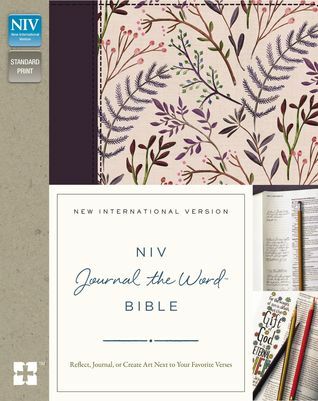 Otherwise this Bible is beautiful and would make a great gift or if you are wanting more room to write notes or color. "I received this book from BookLook Bloggers for free. All opinions are my own. "